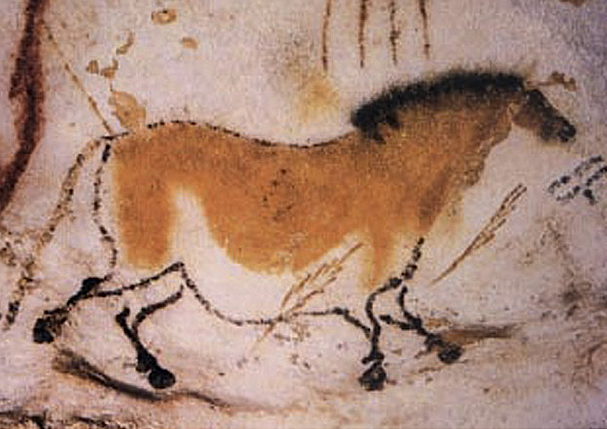 When I was in college I got to see these cave paintings firsthand and I remember being in awe of them. I was a Spanish major for a brief time (art came much later after college) and I was very fortunate to take a month long trip to Spain with others at my college. It was my first trip abroad and so exciting! 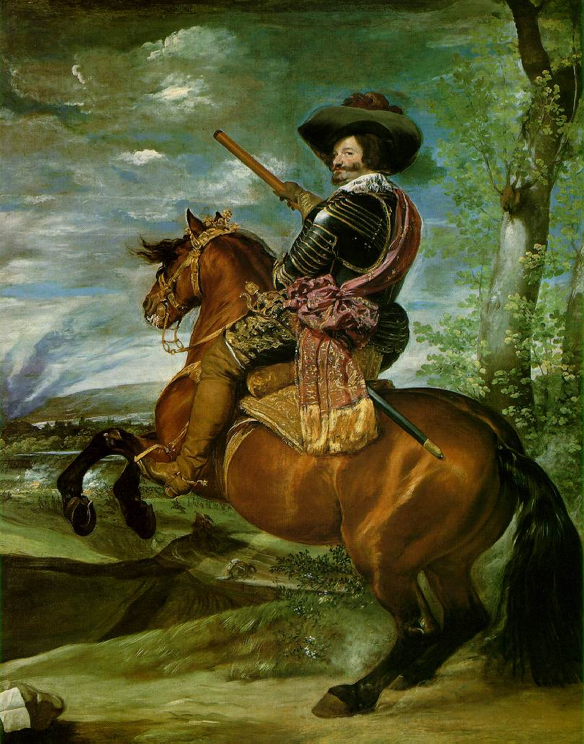 I also remember spending some time at the Prado in Madrid and seeing these HUGE Diego Velazquez paintings! He’s always been one of my favorite painters. This was in the early ’70’s and I have not been back since. It’s definitely on my bucket list to go again! 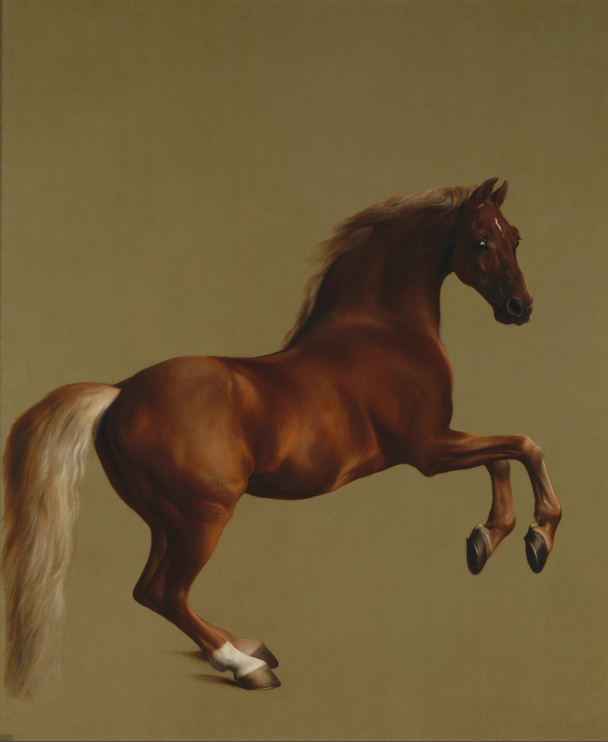 Last September, I traveled to London and saw this beauty in the National Gallery…another huge horse painting. 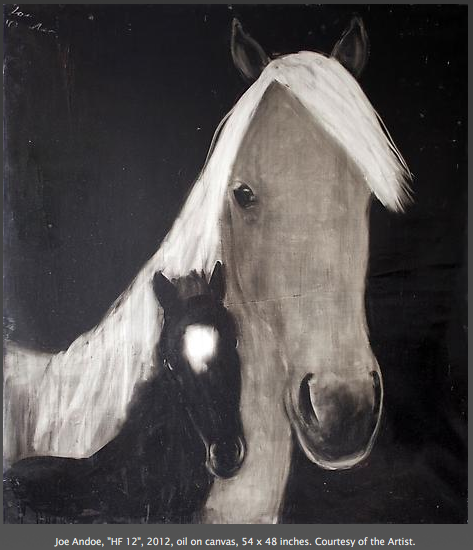 This was before I even thought about painting horses, but, I realize now that the seed of the idea was planted here. 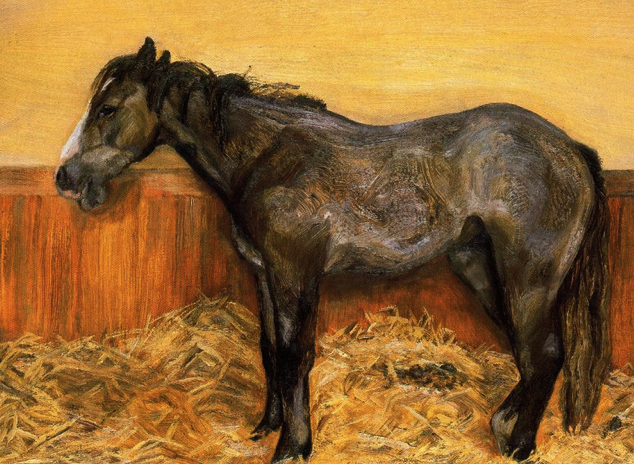 I’m a great Lucien Freud fan and he was very fond of horses and a good equestrian. 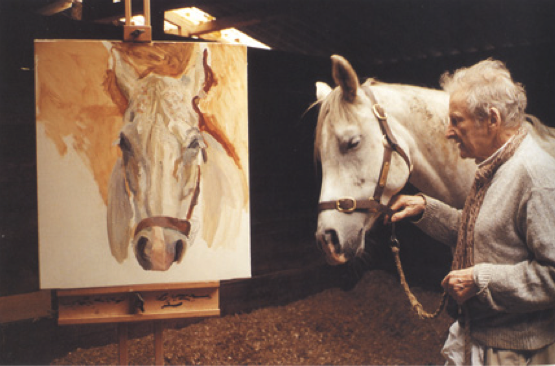 Here are a few of his horse paintings. I also love how he painted dogs. His paintings are so sensual and I feel that the animals come alive in them. 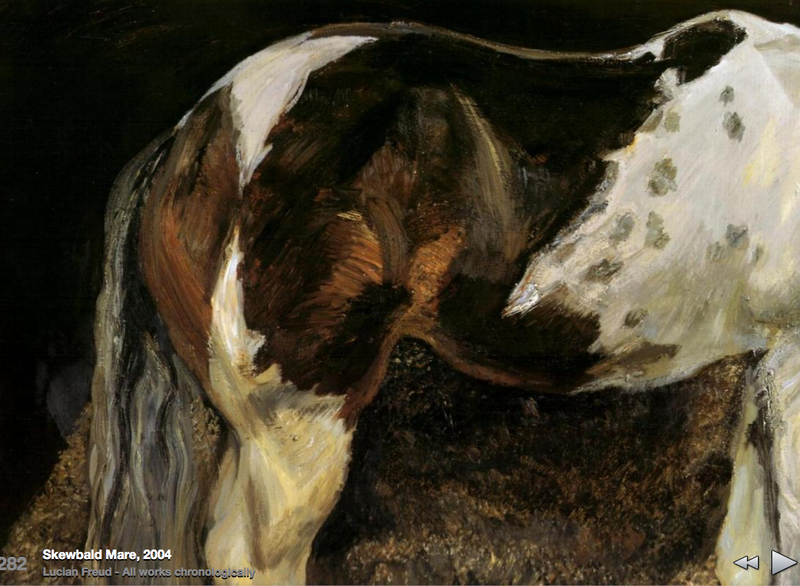 It’s tough being an artist’s model – that horse looks beat! 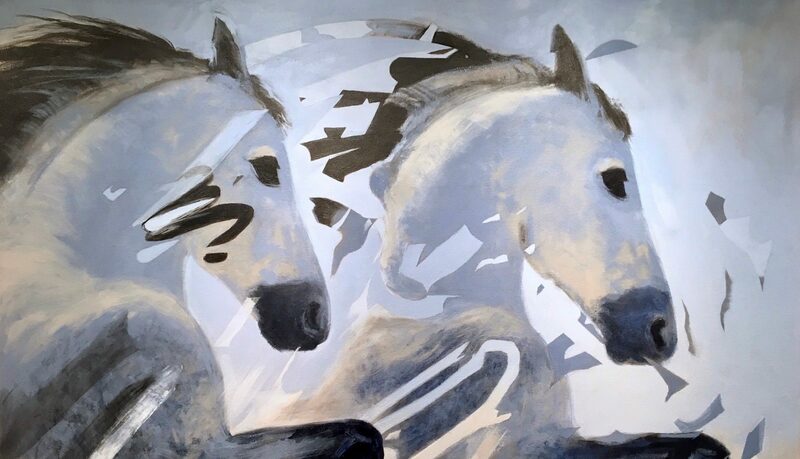 And even though I could show numerous other examples, I’ll end with a very recent show of Joe Andoe’s horses. This last one is bordering on the sentimental, but is just quirky enough that I like it! Here’s my latest horse and a detail of the eye. The eye is like a mini abstract painting and I love painting it. 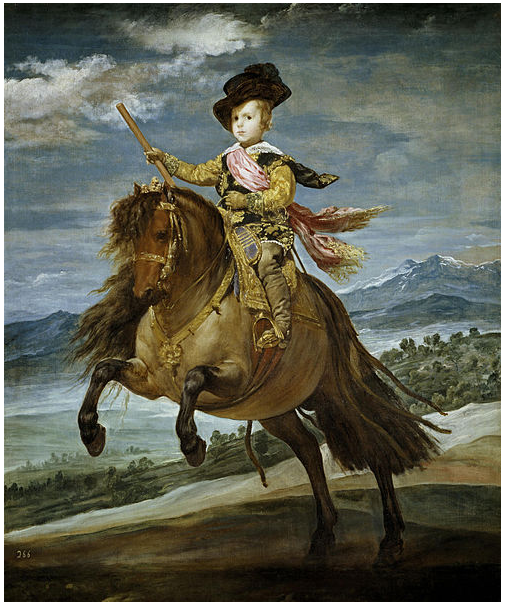 Finally, I should add that I used to have a horse, and horses were my first passion. I no longer ride… and now my passion is painting. 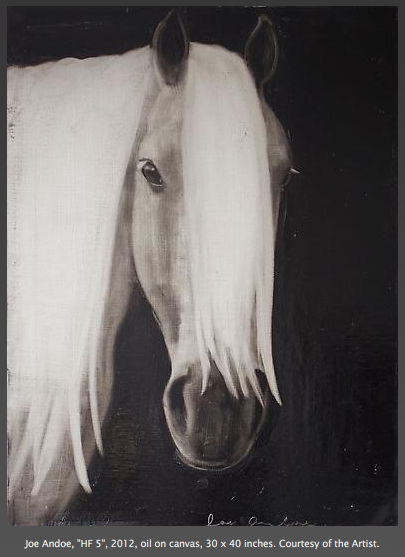 As a young girl, I remember trying to draw horses but, I never dreamed I’d be painting them someday. 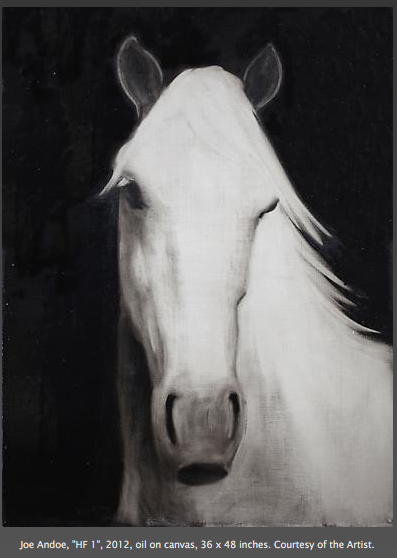 On a personal note, I wish to dedicate my horse paintings to my father who (for years) took me to the stable, horse shows, watched me ride at an unheated riding stable (I still see him standing with a glass of blackberry brandy to keep warm!) and basically gave me an ideal childhood. Thanks so much for your delightful explanation of why you paint horses! 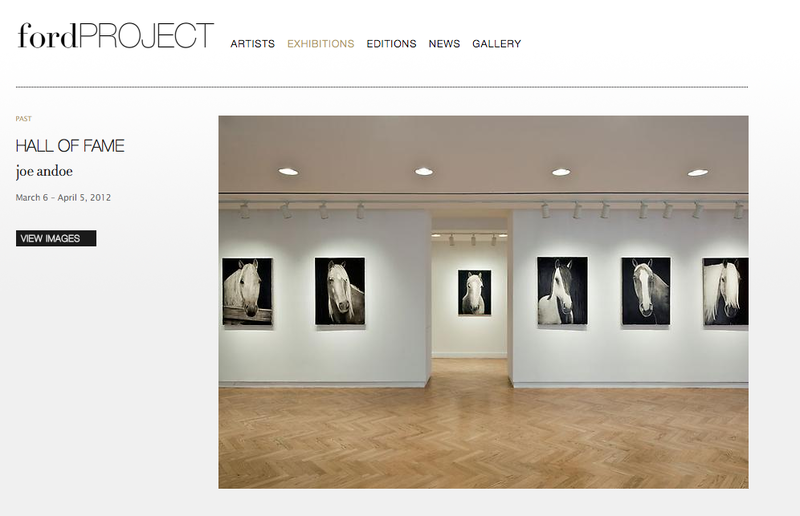 And thank you for introducing me to Lucian Freud’s horse paintings and to Joe Andoe. And a very excellent dedication to your father. He sounds like a great dad. Thanks, Annerose. I was very lucky to have two great parents growing up. Happy painting! 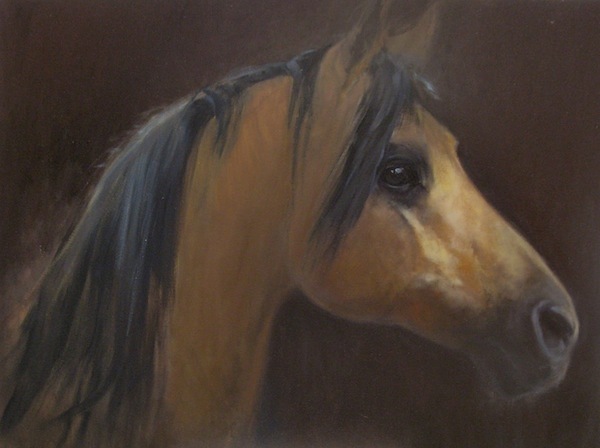 I think that your painting is excellent, you’ve really captured the soul of the horse, along with its physical beauty!